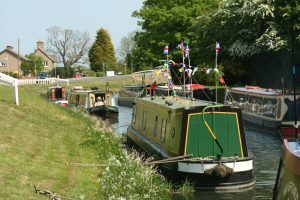 The latest news on the May Day Bank Holiday Boat Gathering is that all boats are invited to meet at Bottom Lock on the Friday evening for a BBQ. We will then be sorting out for the trip up to South Kyme village on the Saturday morning. Please sign up to #easyfundraising and help us raise FREE funds for Sleaford Navigation Trust when you’re doing your everyday shopping online. THIS IS FREE MONEY FOR US! Plus, when you raise your first £5, easyfundraising will match it!! This short video explains how simple it is and it doesn’t cost you anything – http://efraising.org/cv1Wj5Bman. 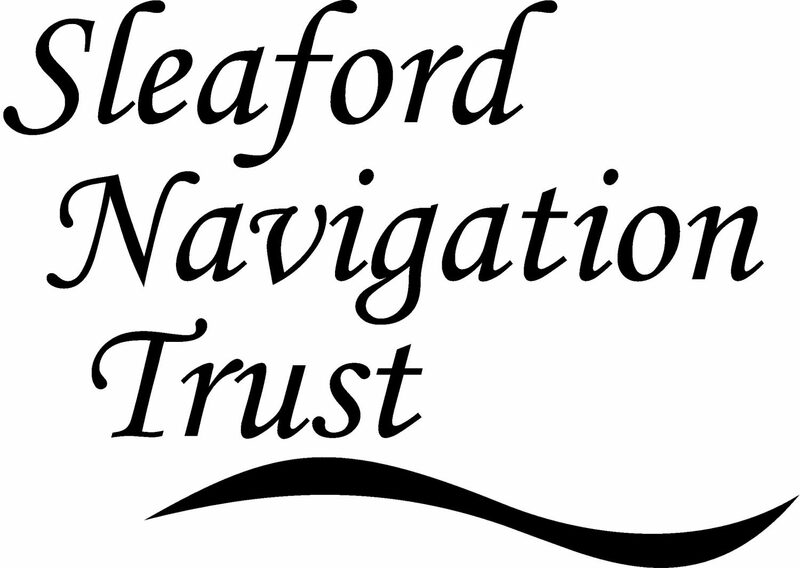 The Annual General Meeting of the Sleaford Navigation Trust will be held at Sleaford Town Council Offices, Navigation Yard, Sleaford, on Monday 13th May, 2019, starting at 7.30 p.m.
For more details please use the following link to go to the web page. Sleaford Navigation Trust will be holding a Boat Gathering in South Kyme during the May Day weekend, 3rd – 6th May, 2019. Sounds formal but it’s not, this is just our annual get together. 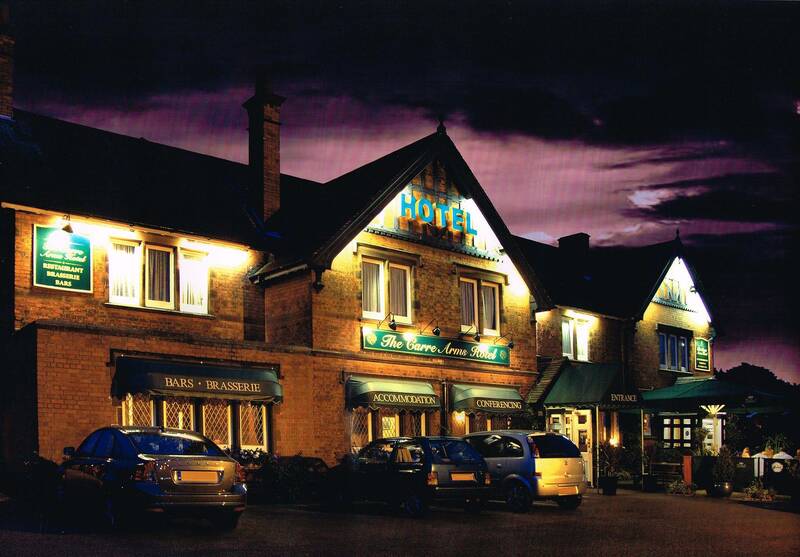 We decided that after the great food that we had at the dinner last year we decided to return to the Carre Arms Hotel for this year’s celebration. Becky Franks will be co-ordinating the event so if you are intending to attend, please get in touch with her. You can phone on 01529 469523 or email thewindmillshop@hotmail.com . Do come along for a meet up and chat, the food and beer is good as well. I put out a request some time ago for old newsletters to add to the archive of the Trust. Normally I occasionally get some from members from all over the country, however, this time the source was much closer to home. I was clearing out some files recently and found three more newsletters dating from 1992 and 1993, just goes to show what turns up. If you happen to find any old newsletters when tidying up please don’t throw them out but have a quick check on the website to see if they are already online. I would be delighted to receive them and if you wanted them back promise to return them after scanning. 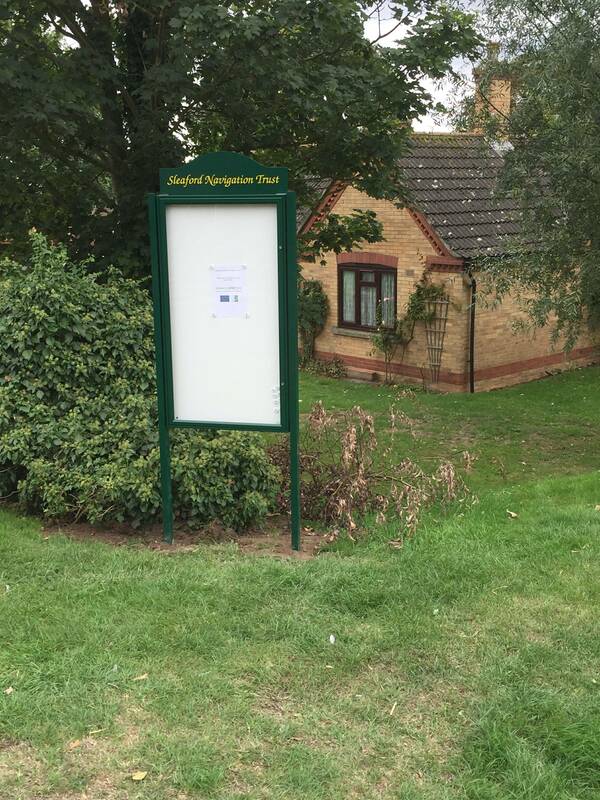 The final notice board was put into place at Chapel Hill yesterday which completed the installation part of Destination South Kyme. The next task will be to produce the artwork to go into the notice boards, hopefully this should be completed in the next few weeks. 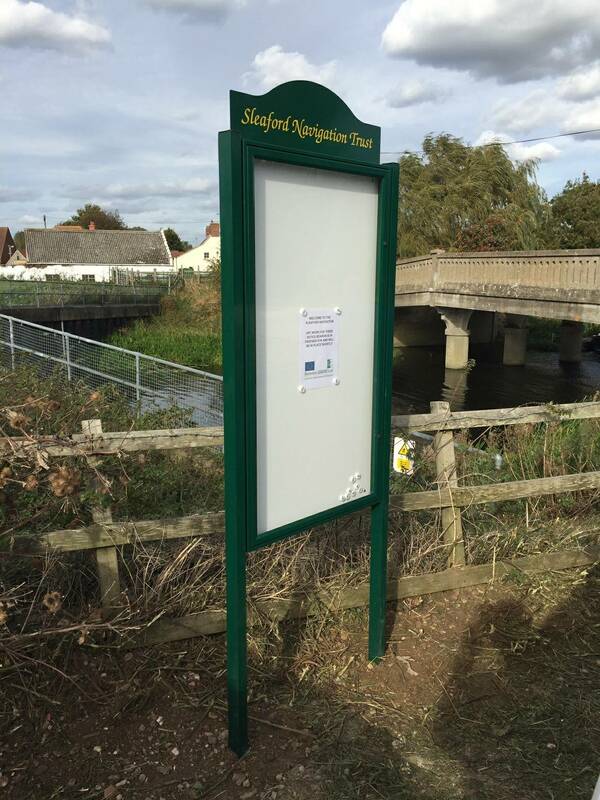 Yesterdays work party in South Kyme went well with the installation of two of the new ‘Destination South Kyme’ notice boards. The artwork for the notice boards is yet to be completed so there are some temporary notices in place until the final information material has been completed. Additionally work was done to clear some of the mud in the river that was in front of the moorings to improve the depth of water for boats. 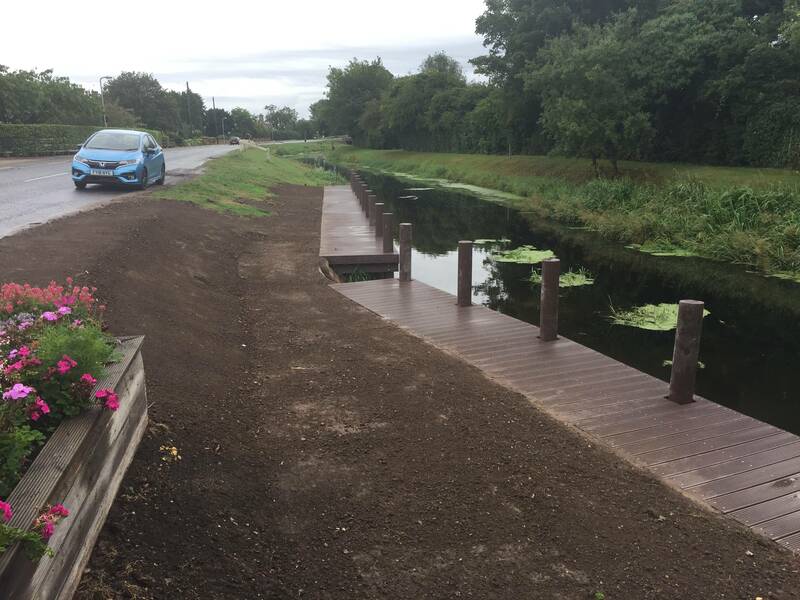 With the completion of the landing stages the first part of the ‘Destination South Kyme’ project is now finished. Although the site, at the moment, looks a little raw once the grass has started to grow then the site will have a far more finished look to it.